Summer has arrived in it’s full heat and glory, bearing down on our backs in the office and transforming our commutes into prisons of heat. This summer is looking like it will be a particularly heavy one, with temperatures scaling 30 and above! But have no fear, Goboony is here! We’ve come up with our top 5 weekend destinations across the UK, specifically aimed at those of you with an itch to travel and escape, but minimal days in which to do so. We’ll present you with five different options, spanning the UK and suited to all tastes, leaving us with no doubt that one will be the holiday inspiration you’ve been searching for! So let’s get started then! The Lake District is probably the most obvious of the road trip ideas, one you’ve heard of many times before. But there is a reason for that, as visiting the Lake District is simply a classic weekend getaway! A UNESCO World Heritage Site since 2017, the Lake District is located within Cumbria and is the most visited national park within the United Kingdom. It is the largest of the thirteen national parks present in England and Wales, featuring a variety of beautiful scenery for you to enjoy. The Lake District is also a food lover's paradise! It houses numerous restaurants and pubs worth your time and money, including the Sustainable Restaurant of the Year: Lake Road Kitchen. Their selection of fine dining establishments promise to stimulate your taste buds whilst also stimulating your other senses through the unbeatable views! Burning off all of those calories will be both easy and enjoyable given the extensive walking routes encompassing the Lake District. We personally recommend either bringing your bicycle or renting one there, as it is truly the best way to explore this phenomenal place. The Lake District also caters to adrenaline junkies, offering rock climbing in the Langdales, zip wiring at Grizedale and canoeing on Coniston. If the weather turns darker, then you can retreat into one of the numerous museums there, including the Derwent Pencil Museum in Keswick, home to the world’s first pencil! This is a sight you have to see to believe, as it is indeed possible to create an entire museum solely dedicated to the wonders of the pencil. Your only problem with a weekend trip to Lake District will be deciding which of the plenitude of activities to partake in. Depending on your current location, the drive up can be a bit of a journey, thus making this trip perfect for a long weekend. Consider using one of the many motorhomes available on our website, and making the journey part of your holiday, enjoying the views and towns you pass on the way. Utilize a motorhome for travel and accomodation, allowing you to continuously experience the beautiful nature the Lake District offers. Perhaps the Lake District isn’t your cup of tea, or too far for your quick trip, so in that case we have our next weekend destination for you; Suffolk! Considered by many as the undiscovered corner of England, Suffolk mimics the fairytales of our youth with it’s thatched roof cottages, colourful country gardens and vintage pubs. Suffolk offers beautiful beaches with miles of pristine sand and tiny fishing villages. Catch your own supper, or settle for buying it fresh on the pier! Offering a variety of activities for the entire family, from exploring castles and stately homes, relaxing on the beach as the kids play, feasting your eyes on the extensive art scene or simply feasting on the local delicacies the Foodie County offers. For the latter, consider visiting the Suffolk Food Hall, winner of the Best Local Food Venue in the UK & Ireland for its’ amazing farm shop market and Cookhouse Restaurant. From oysters to pastries to a good old fashioned steak, the Suffolk Food Hall has you covered. Revel in English tradition with an Afternoon Tea at the prestigious Jockey Club Rooms or in the family-friendly Ickworth Hotel. But we all know that no good meal is complete without a delicious drink to accompany it, and Suffolk’s local ales will keep your thirst quenched for the duration of your trip. A summer paradise right on our own shores, Cornwall is the ideal combination of a road trip and a staycation. The picturesque cliffs of Cornwall provide you with not only a breathtaking view, but also the perfect backdrop for your vacation photos. A short trip to Cornwall can be filled with lots of family fun through trips to the beach, munching on the traditional Cornish pasties and trips to the open air theatre! Or if it is a romantic getaway that you’re after, picture postcard walks along the beach under the starry sky, followed by sharing the freshest seafood platter as you gaze into each other’s eyes over your candlelit dinner. Wow! Not travelling with the family or a partner? Have no fear, Cornwall also attracts a slightly wilder crowd, with amazing waves begging to be surfed and a surprisingly rich nightlife. 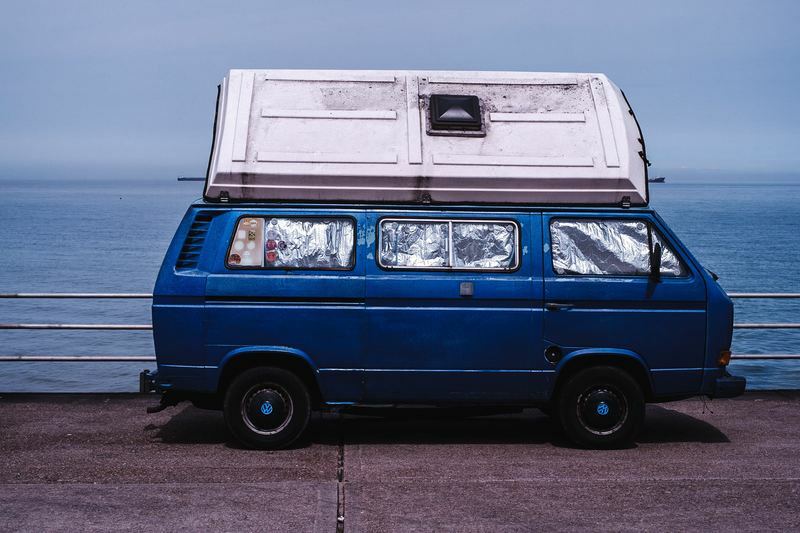 Cornwall has plenty of accommodation, from glamorous to cosy, but otherwise consider taking a motorhome there. You’ll find cheap accomodation in one of the numerous campsites, and get to revel in the starry sky and sound of the ocean as you drift to sleep - count me in! A list of the best weekend destinations simply would not be complete without road trip ideas to Scotland and Wales. It was incredibly difficult for us to narrow down the options for Scotland, and it caused several rows here in the office. But we could not deny the beauty and excitement that Edinburgh provides for all those lucky enough to visit it. A contrast to the more picturesque destinations we considered, Edinburgh is rich for adventure and perfect for those holidaymakers that need to be constantly busy and exploring! The beautiful Old Town and modern New Town create the perfect contrast, allowing you to enjoy Edinburgh as it was and as it is today. There is a wide variety of activities to keep you busy there, from tasting the city’s famous whisky to visiting its museums (perhaps avoid combining the two though!). If you get planning quickly, you could try to score one of the last tickets for the world-famous Fringe festival, and get immersed in some phenomenal culture through theatre, dance, music or the other various acts available! Live the magic of film through exploring the city that inspired J.K. Rowling to write the worldwide sensation of Harry Potter and spot locations from ‘Trainspotting’ and it’s sequel. Gaze in awe at the huge Queensferry Crossing and try to climb and conquer the tremendous Arthur’s Seat. After more careful deliberation and debates, we settled on Brecon as our choice for Wales. While Cardiff holds an undeniable allure and would be the more obvious choice, at Goboony we go for the unexpected. The Brecon Beacons National Park is a site that just cannot be missed, and must be witnessed within one’s lifetime. Featuring flowing waterfalls, looping canals, thick forests and miles of untouched landscape. You can spend your entire weekend exploring this wonderful place, climbing up the mountain range to get the full picture. Enjoy the tranquility and partake in birdwatching, as the park features endangered species such lawpings and nightjars. Ride on vintage trains, play a round of golf or relax in one of their many cafe’s. The children will be entertained through the geocache treasure hunt, swimming in the waters and spotting the numerous wildlife around. Adults will be excited to see landmarks they recognize from films, such as the entrance to the Batcave from the 2012 movie ‘The Dark Knight Rises’. 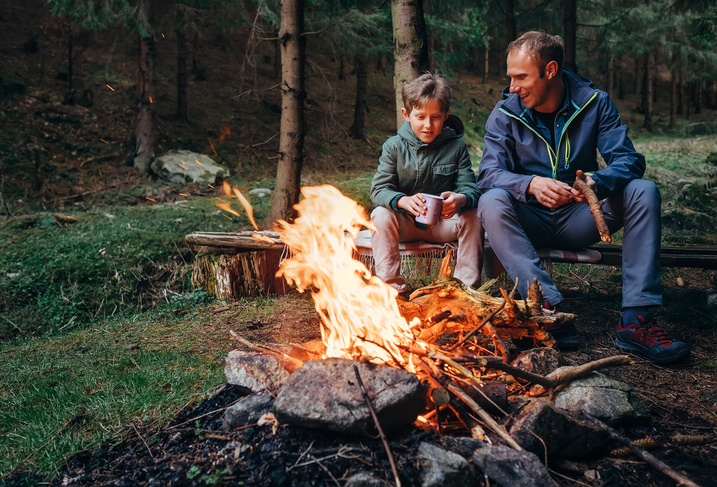 Take this opportunity to go back to your roots, and treasure the simplicity of camping. Roast marshmalllows around a campfire, and then tuck yourselves up in your very own little home on wheels. There you have it, our top 5 weekend destinations in the UK! We’ve tried to provide you with a range of locations, and varying destinations, ensuring something for each one of our readers. Whether you came here looking for road trip ideas or just a short trip to escape the city, we have you covered. 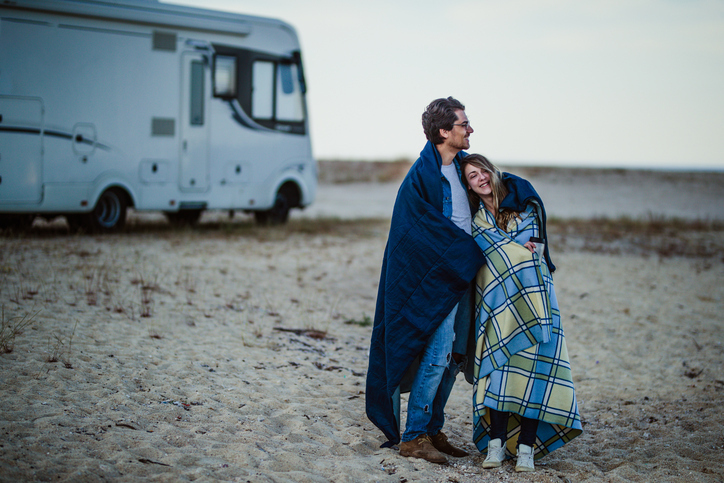 So don’t wait any longer, either fire up your own engine or take a look at the campervans and motorhomes offered in your area. Summer is here, and it is time for you to start exploring the wonders the United Kingdom has to offer. Staycation, here we come!